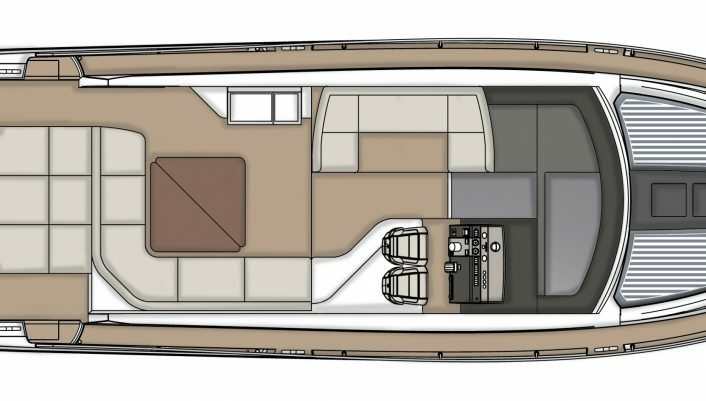 range, the Targa 53 OPEN. 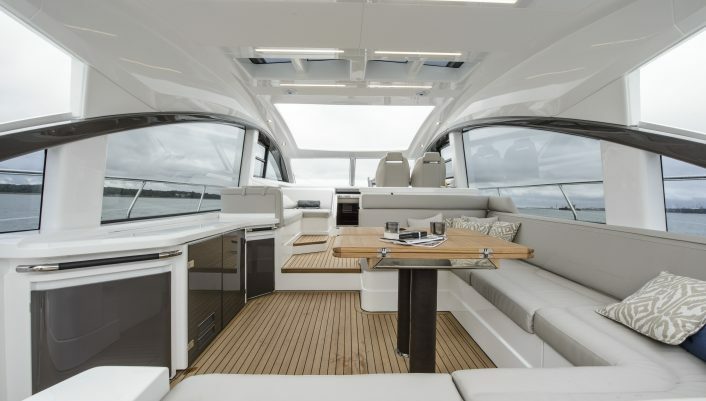 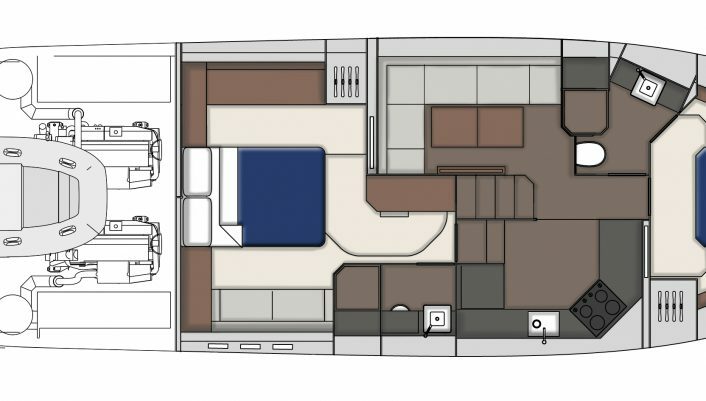 Available from spring 2017, the new Targa 53 OPEN will feature uninterrupted entertaining above decks with a single level teak floor from cockpit to companionway. 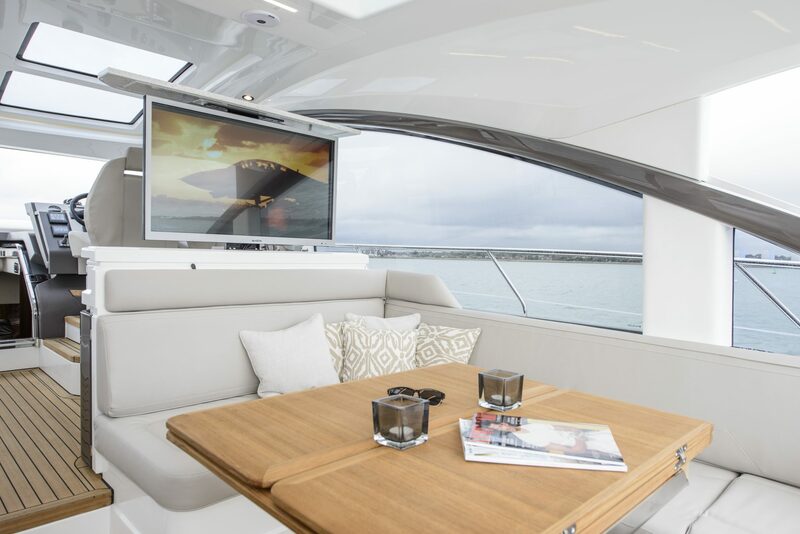 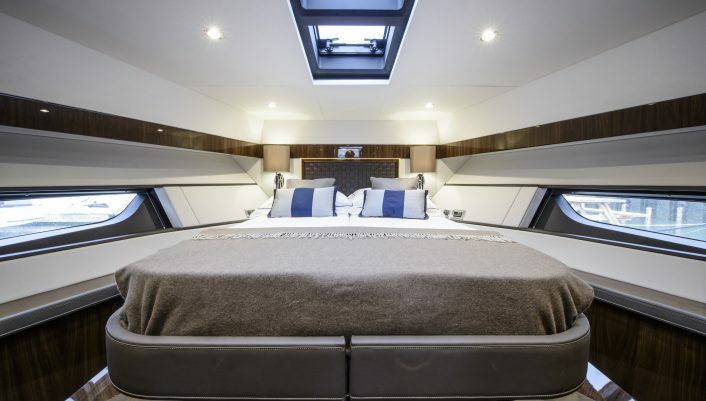 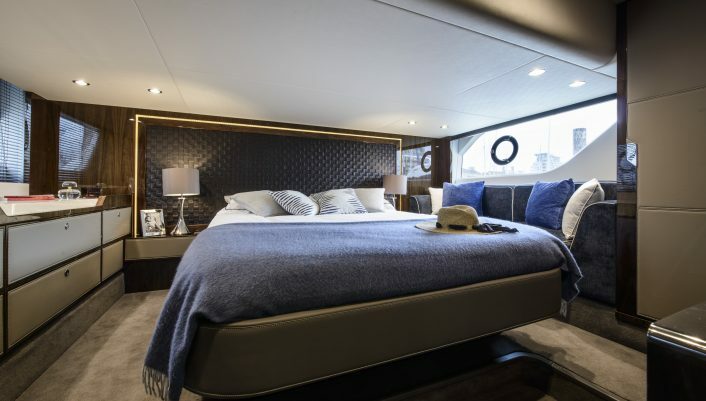 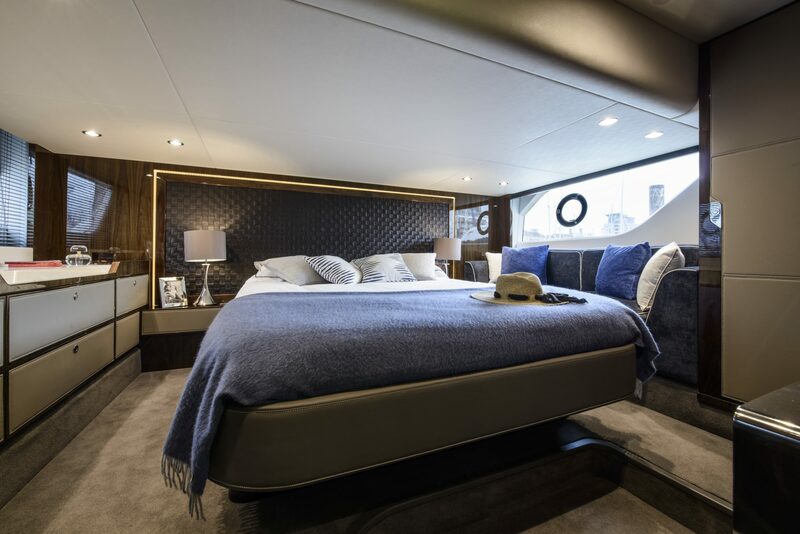 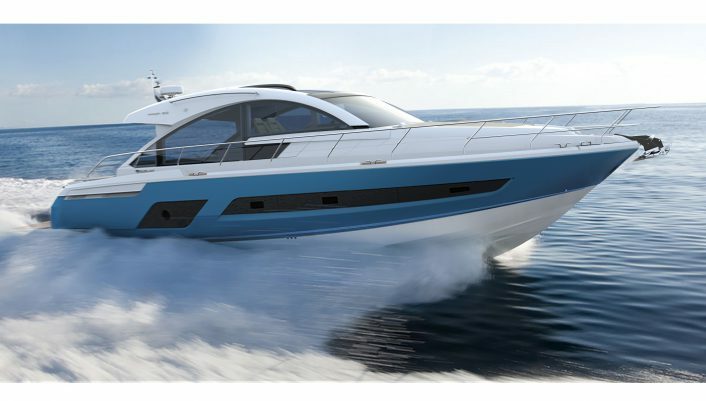 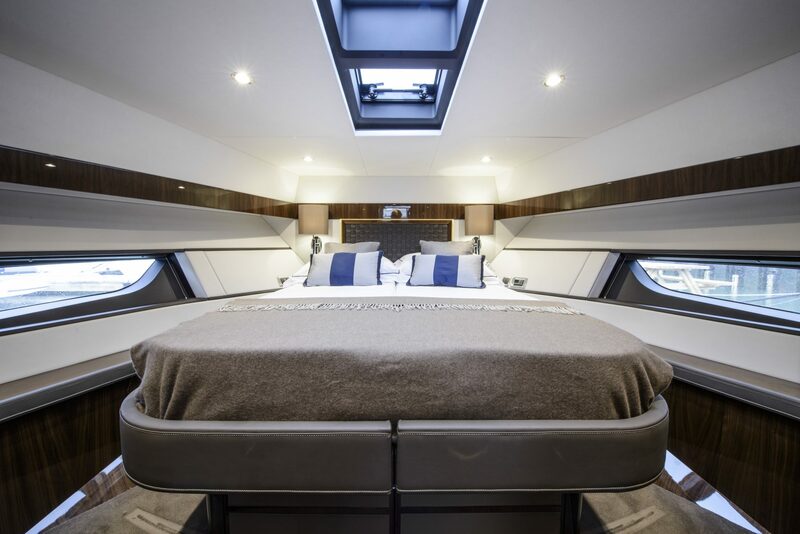 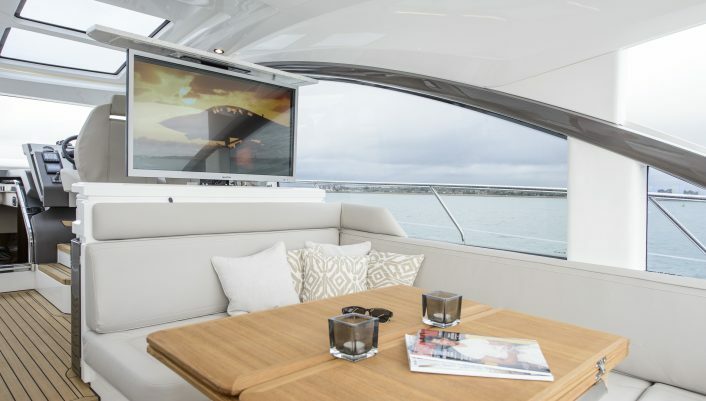 The boat incorporates a beautifully tapered hull glazing which emphasises the dynamic character of the Targa concept and ensures that the spacious master cabin, lower galley and saloon below, are filled with natural light. 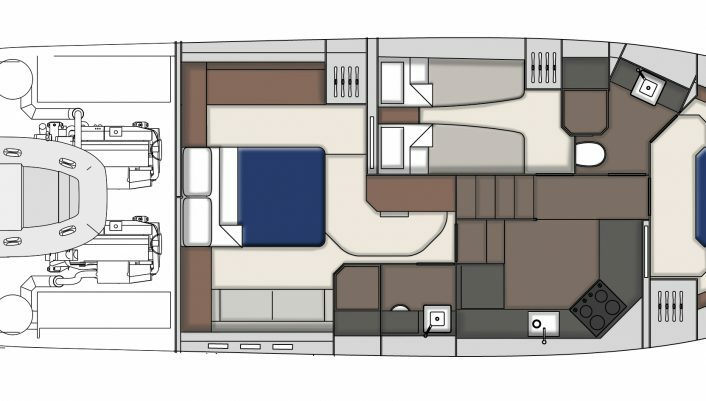 Customers are also able to choose between a two cabin or three cabin configuration that best suits their individual requirements. 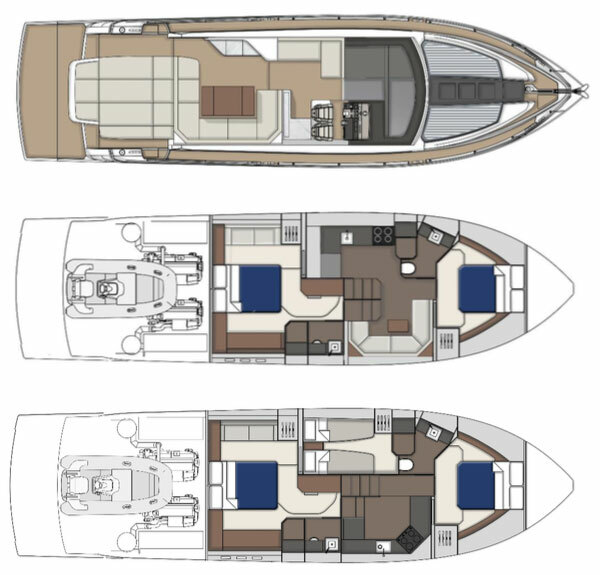 The cockpit boats a spacious three person sun bed above the tender garage, large ‘L’ shaped cockpit seating with a wet bar opposite and spacious companion seating across from the helm, the perfect arrangement for maximising enjoyment onboard. 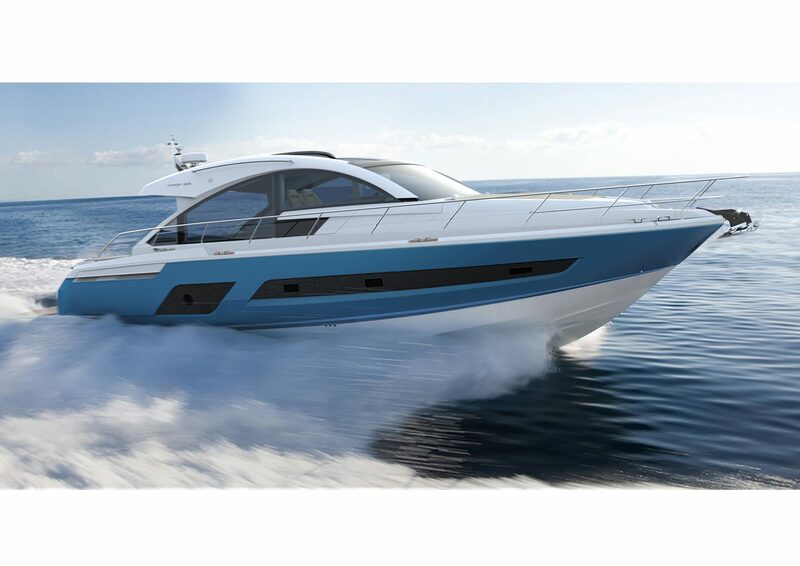 The Targa 53 OPEN will offer a choice of two shaft driven, Volvo engine options, offering a minimum fully loaded speed in excess of 30 knots and a range of at least 300 nautical miles. 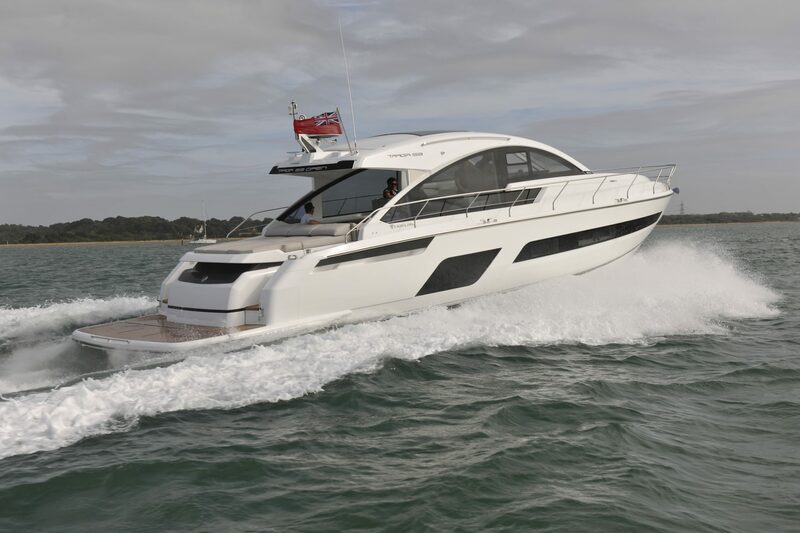 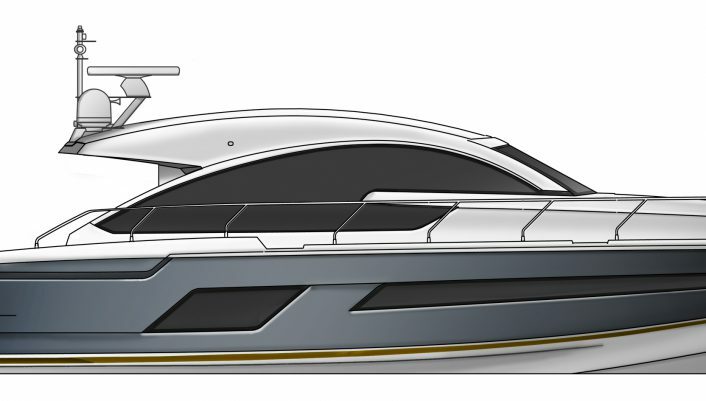 There will also be the option to add stabilisation, with the boat accepting both fin and gyroscopic stabilisers offering the highest level of comfort onboard. 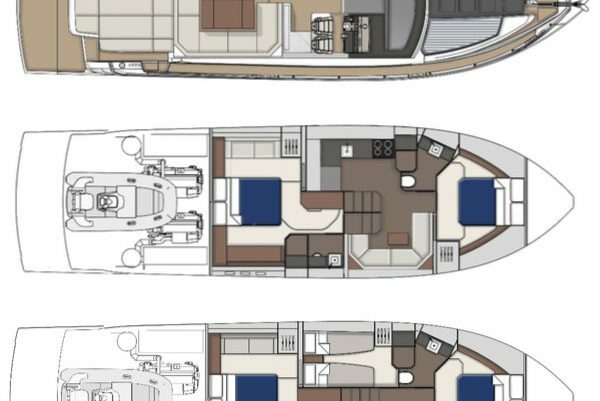 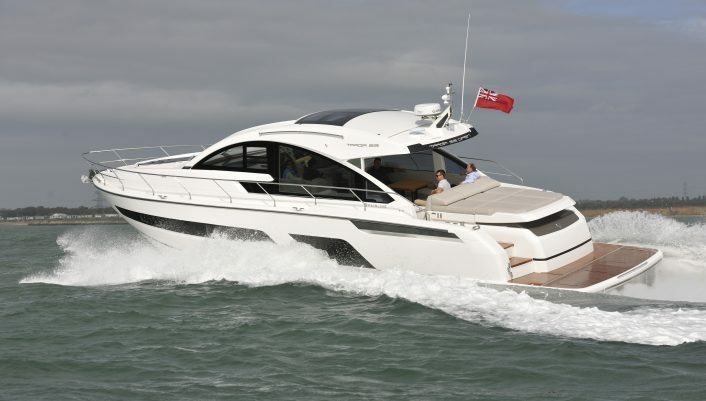 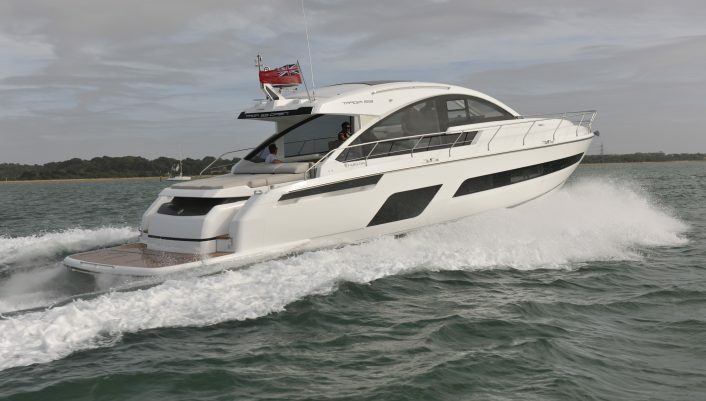 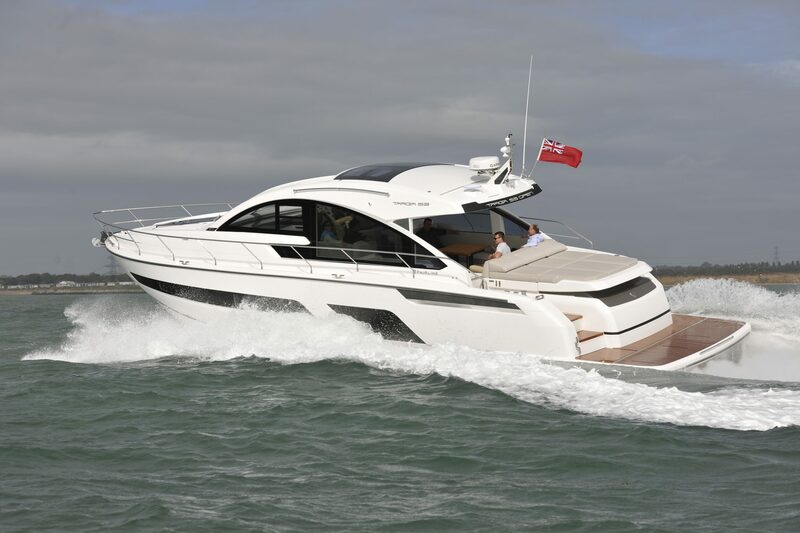 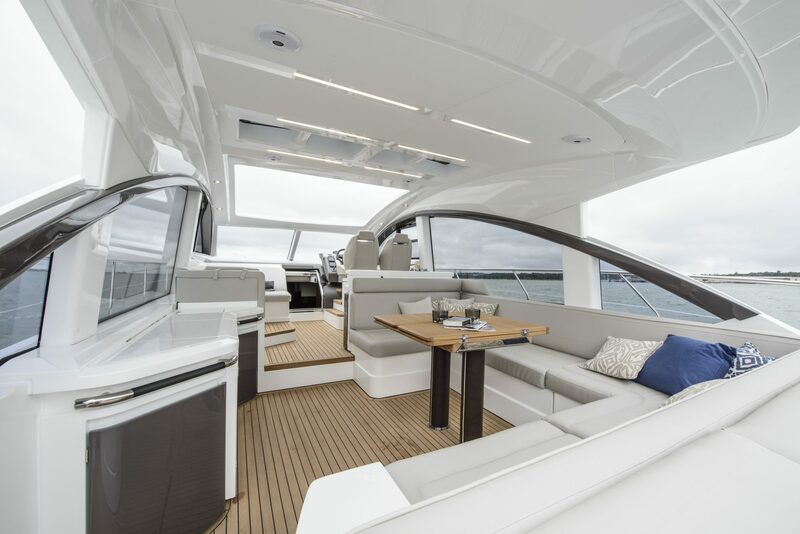 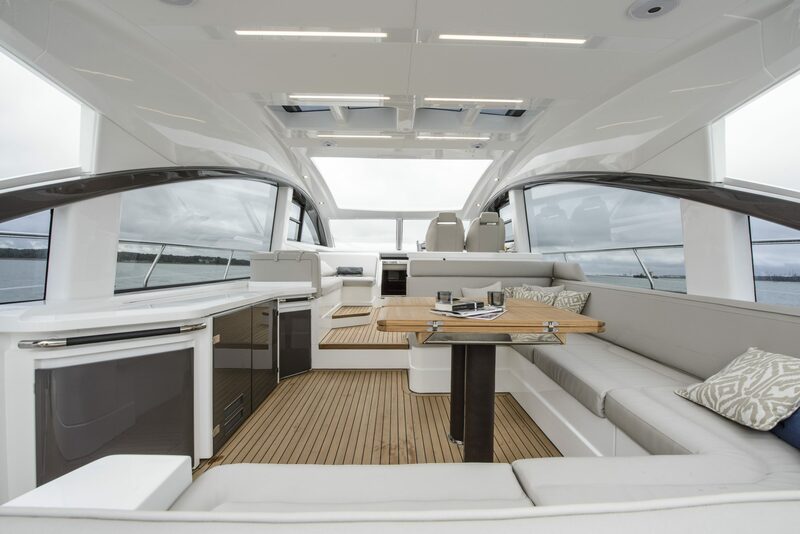 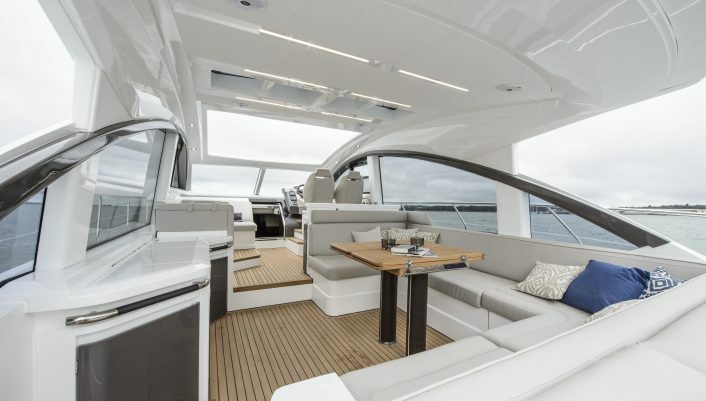 Design, layout and detailing by the Fairline Design Team.